This BASE Jump is Very Illegal! 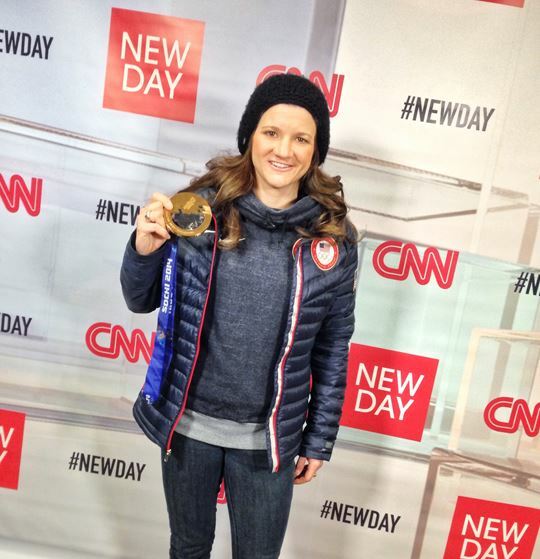 Snowboarder Kelly Clark captured her 3rd medal competing in her 4th straight Olympic games in Sochi. On "New Day" Tuesday, the 30-year-old athlete remembered the sport before it was "cool." "There was no X-Games, there was no Olympics. When I was 14 year's old I had one of those moments where I watched the first time snowboarding was even in the games, I said 'This is what I want to do with my life.' And four years later I won Olympic gold in Salt Lake and I've been here ever since." In today's edition of the "Good Stuff," a mom's friend helps her build her son a mechanical hand. CNN's Chris Cuomo reports. Matthew Shields,9, was born with thumbs and little nubs for the rest of his fingers. When kids at school started bullying Shields, his mother looked to technology for help. That's when his mom discovered Robohand– a mechanical hand you can print out and make using a 3-D printer. A family friend came to the rescue, finding the plans on the internet, and using the public library's printer to make it. See the full story at CNN affiliate KCTV and if you have #GoodStuff news, let us know! Leave a comment, post on Facebook, or tweet to @ChrisCuomo & @NewDay using #NewDay and submit your story on iReport.